Kakuzo Okakura, who was known in America as a scholar, art critic, and Curator of Chinese and Japanese Art at the Boston Museum of Fine Arts, directed almost his entire adult life toward the preservation and reawakening of the Japanese national heritage -- in art, ethics, social customs, and other areas of life -- in the face of the Westernizing influences that were revolutionizing Japan around the turn of the century. This modern classic is essentially an apology for Eastern traditions and feelings to the Western world -- not in passionate, oversentimental terms, but with a charm and underlying toughness which clearly indicate some of the enduring differences between the Eastern and Western mind. 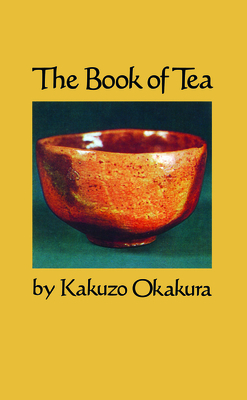 Okakura exhibits the distinctive "personality" of the East through the philosophy of Teaism and the ancient Japanese tea ceremony. This ceremony is particularly revelatory of a conservative strain in Japanese culture; its ideals of aesthetic tranquility and submission to the ways of the past find no parallel in the major cultural motifs of the West. Not only does he discuss the tea ceremony and its rigid formalities, and the cult and patterns of belief surrounding tea and tea-drinking, but Okakura also considers religious influences, origins, and history, and goes into the importance of flowers and floral arrangements in Japanese life -- their proper appreciation and cultivation, great tea-masters of the past, the tea-room with its air of serenity and purity, and the aesthetic and quasi-religious values pervading all these activities and attitudes.